Last weekend we went to SeaWorld. It's amazing how the time flies when you get back from vacation, I was just thinking how last week at this time we were chillin in the pool, relaxing, and enjoying the day. And now here I sit again at this desk I seem to be shackled to these days. Anyway, Orlando was a blast. We went to SeaWorld, which the prices I must say are astronomical. They go down significantly after 3, so if you're headed that way and want to save money keep that in mind. Also keep this in mind: Don't go at the end of July/early August. Holy sweat down my back HOT. Imagine being so hot you are drenched in sweat, dehydrating by the minute, crammed in with a million people, then go see a show crammed sitting smooshed in a small stadium only to watch these beautiful water creatures swimming by, a whole cool clean pool all to themselves, as though to say Aaahhh..look at me you ridiculous people, sitting there sweating like that. I am enjoying a thrilling jaunt around the pool all by myself, haha! And we clap for that creature, who taunts us so! The next day the majority wanted to go to Typhoon Lagoon. Normally I would be amongst the majority, I am a water freak afterall. But these days, me + bathing suit does not equal fun. Every which way I looked, people were fit. I'm wondering where in the world am I, and where are the hefties like me? I sucked it up though, pretended I wasn't walking around in a bathing suit, and had some fun. I just hope I managed to stay out of anyone's pictures! Being as we drove to Orlando, my hubs continued to pull into BP gas stations when we ran low, and I continued to grimace until we moved to the next gas station. I don't know why people continue to buy gas there? 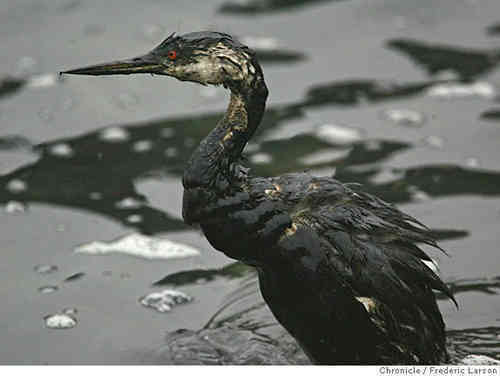 Maybe seriously people need to put up pictures of oil slicked birds and dead wildlife on their pumps and then maybe people will not go there? And just wondering why there is no solidarity here, so many people live in their boxed worlds and just don't seem to care. Why not boycott and really make a difference? I am only slightly disgruntled about this. Grrrrr. If I was head of BP, gas would be .99 cents a gallon right now. I'm just saying. I digress. Orlando was tons of fun and it was a much needed vacation! Now I'm back on the weight loss train to skinnyville. I now have a Christmas goal of 40 pounds lost. It's going to be a grumpy ride but there's no turning back now. I'm with you on the whole BP thing. WHY would anyone continue to purchase ANYTHING from them? Glad you had fun in Orlando! I used to live there, and I must say, the parks never got old! Good luck with your new weight loss goal! I KNOW you can do it!! What happened with BP was terrible but here is the other side of the coin - there were many people who used to work for Amoco/BP many many years before this happened who count on their retirement checks arriving monthly in their mailboxes. They are innocent of any wrongdoing - should they have their livelihood taken away to "punish" BP?